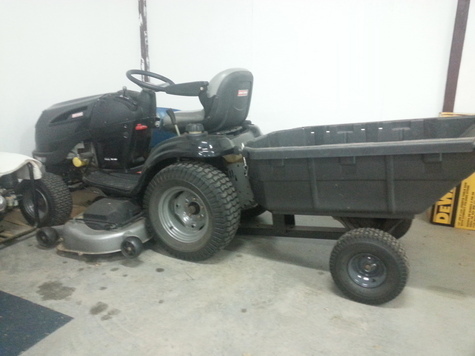 Craftsman GTS5000 26HP 6 speed garden tractor with cart. Good condition. One owner.